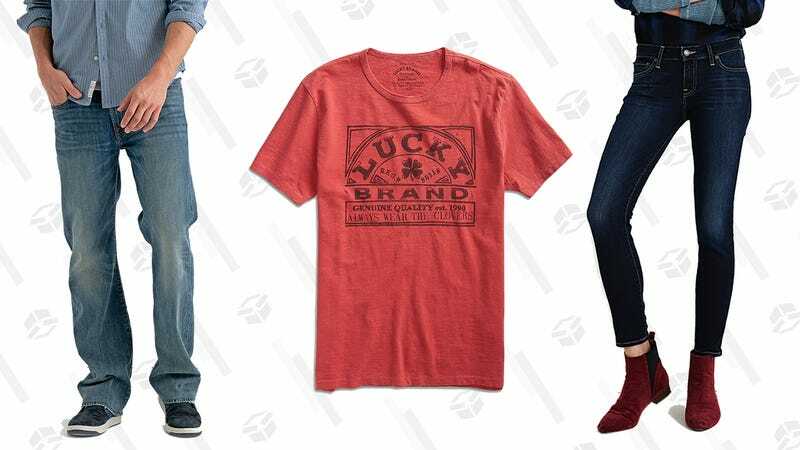 Well isn’t this lucky: Bohemian-cool retailer Lucky Brand is offering up a great deal on their stock just in time for spring: Men’s and women’s clothing, including sale, is 40% off thanks to the brand’s Big Spring Sale. So take advantage of this blowout to add to your supply of good jeans, vintage-y tees, and plenty of spring styles. Don’t press your luck by waiting too long, though; this sale will be over by tomorrow.